Marcus Stone was the son of artist Frank Stone. Upon Frank Stone’s death in 1859, Dickens took an active role in providing assistance to Stone’s children. 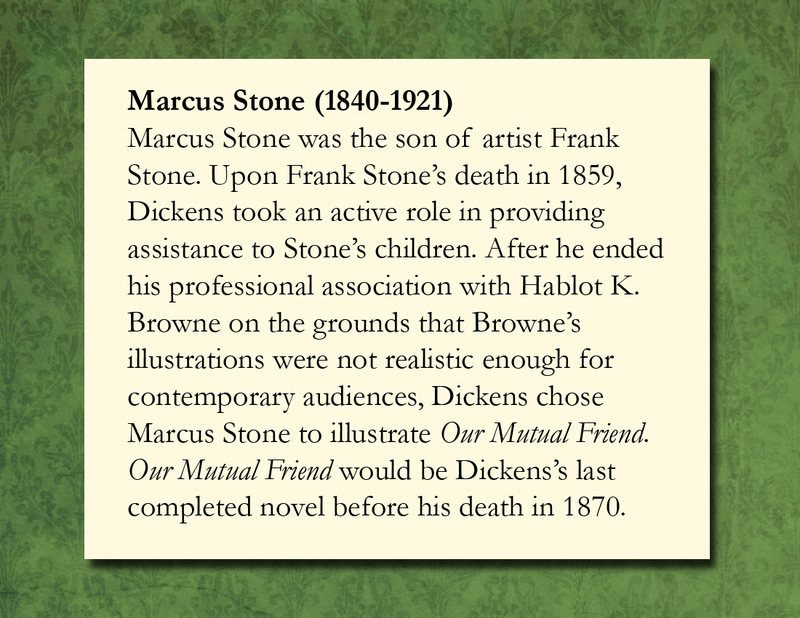 After he ended his professional association with Hablot K. Browne on the grounds that Browne’s illustrations were not realistic enough for contemporary audiences, Dickens chose Marcus Stone to illustrate Our Mutual Friend. 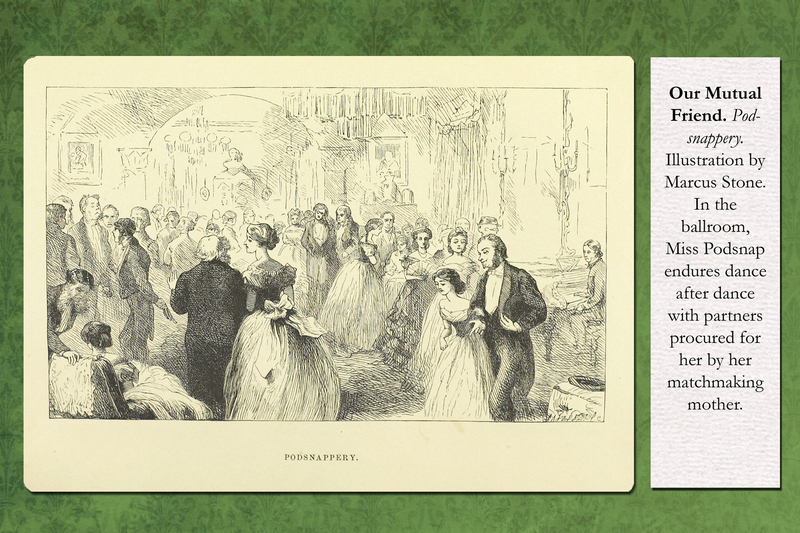 Our Mutual Friend would be Dickens’s last completed novel before his death in 1870. Our Mutual Friend. Podsnappery. Illustration by Marcus Stone. This typical ballroom scene, Miss Podsnap endures dance after dance with partners procured for her by her matchmaking mother.